The office of Dr. John Haeseker is committed to providing the highest level of professional, technologically - advanced eye care possible through the ongoing education of our patients, our staff and our doctors, while maintaining our personal, "family practice" attention to each patient. I take the time to get to know my patients and feel strongly that a good doctor-patient relationship improves the overall quality of health care. When you are at ease in my office, you will be more comfortable asking questions or offering suggestions. You can relax knowing that you've chosen an eye care professional with a sincere interest in your eye health. 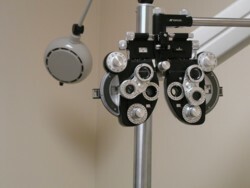 My office specializes in all aspects of primary eye care including eye examinations for adults and children, contact lens fittings (including those patients who have been told by other doctors that they are “difficult” to fit). We are located adjacent to Walmart's Optical Department in Falcon, Colorado, to meet all of your eyewear needs. 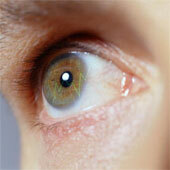 I have been co-managing laser vision correction with local ophthalmologists for over ten years. When you call my office with questions about LASIK or other refractive procedures, please ask to speak directly to me. I will be glad to visit with you. My goal is to provide modern, professional eye care. I want your contact lens or glasses prescription to be perfect. And I want to help you and your family enjoy a lifetime of good vision. "I wanted to find an eye doctor who would listen to me and answer my contact lens questions. 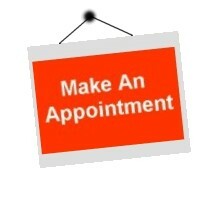 Dr. Haeseker is professional, pleasant and a good listener. He introduced me to some great new options in contact lens technology. My lenses are comfortable again!"